1. 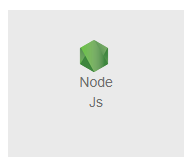 Login to WHM HR Panel and Click on Node JS, This feature is available if you have purchased nodejs hosting from us. 2. You can enter the domain name for which you want to enable the node js. 3. You can enter the port how much ever you want to but you have to check is the port which your typing is available or not. 4. Than enter on create to create the domain running under node.js and apache. 5. Your node.js and apache mode is enabled. 6. You can remove Node js if not needed. Linux VPS Hosting from HostingRaja offers 6 different plans from which you can choose the best one for your website. We provide one of the best performing hosting using advanced technologies, We use best virtualization platform such as KVM, VMWare for Linux VPS. Using this Node Js is to run apache with Node Js. We create a file and give to the client so that they also know that Apache is running with Node JS. How to Update Contact Information in cPanel?